You are currently browsing articles tagged keychains. 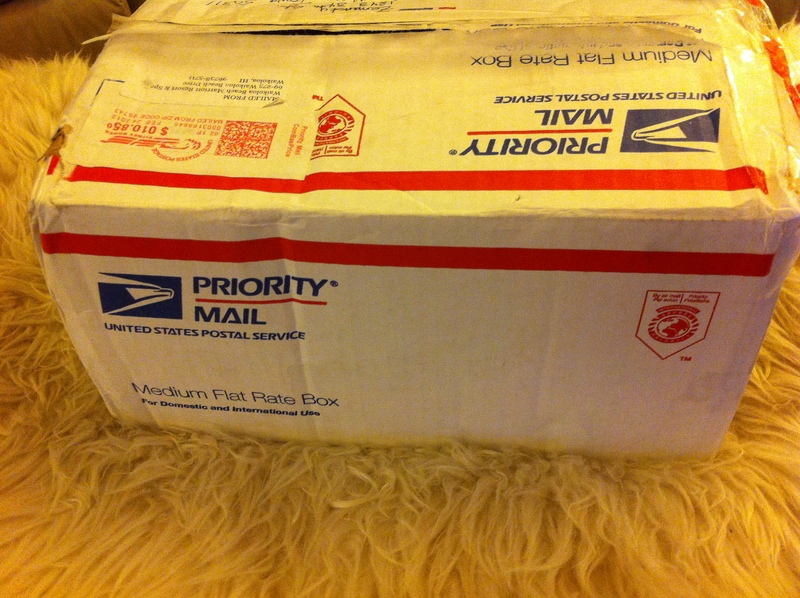 Anyway, being grounded myself I talked my mother into sending me treats from her trip which happened to be a first time visit to Hawaii. There was a geological conference that my dad was attending and she decided to join in and go exploring. So onto the box. Classified ads can give intriguing little peeks at local life, but these newspaper sheets turned out to be primarily paid glossy ads that nobly did their job of protecting sweeter contents so that photo is mostly to build suspense. 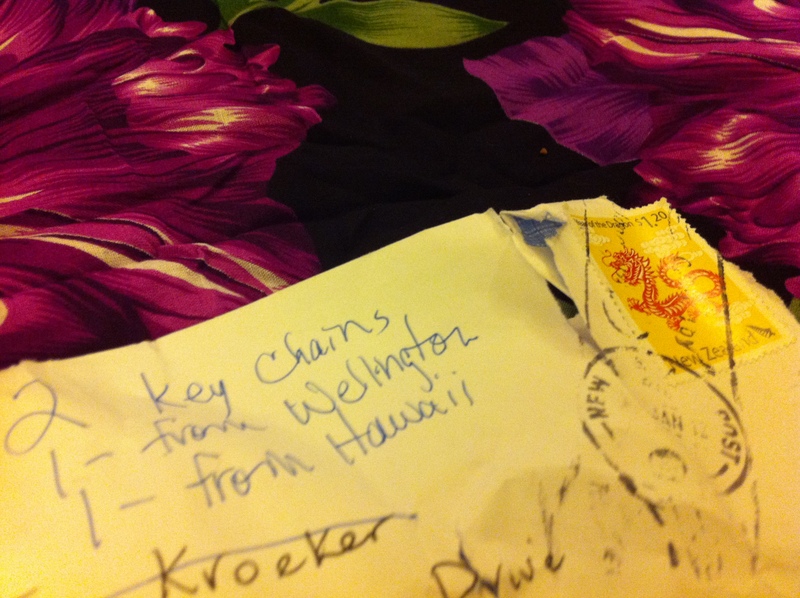 The main contents turned out to be a mix of Kiwi treats and Hawaii souvenirs. As I’ve mentioned, my parents live in New Zealand. 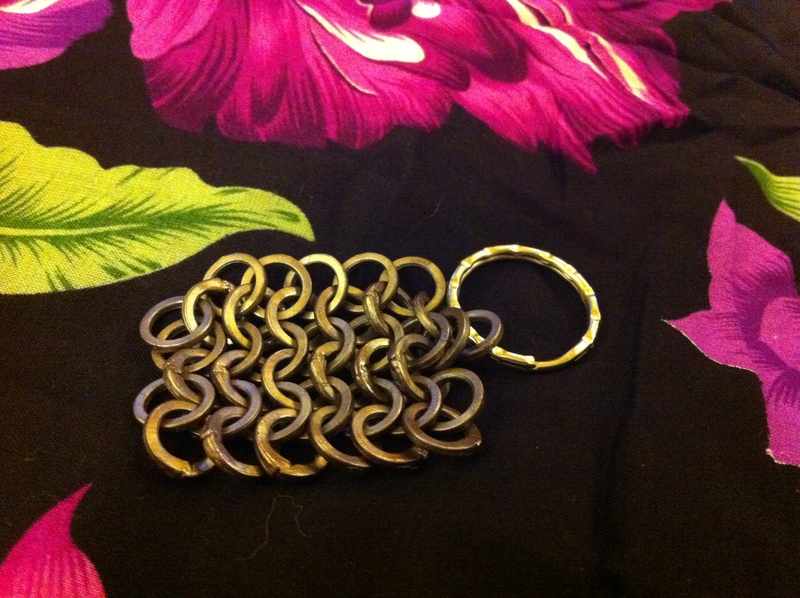 As they passed through Wellington, she snagged a keychain from Weta Workshop made of LOTR chain mail. This gift is for the the little girl who spent hours listening to her father read the books chapter by chapter and years later dragged him to Matamata because the hobbit village is now totally real. 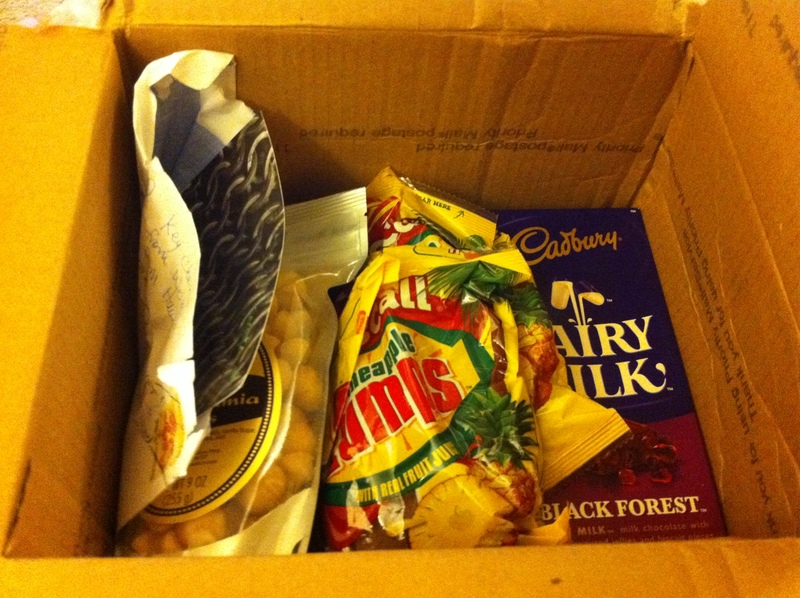 Also from NZ: pineapple lumps and an elusive Black Forest Cadbury bar. 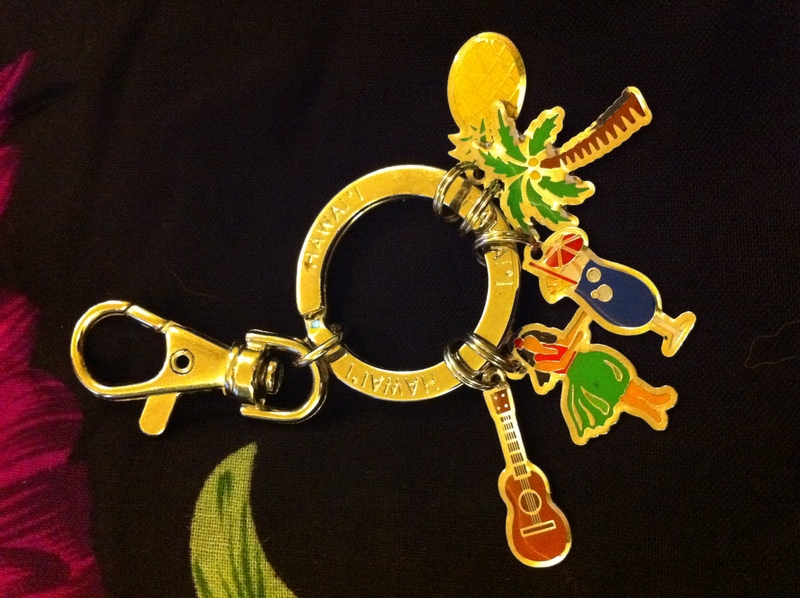 For Hawaii, Mom honored my go-to souvenir or travel gift request which is the keychain (tiny! portable! even useful!) with a cute little ring of charms. 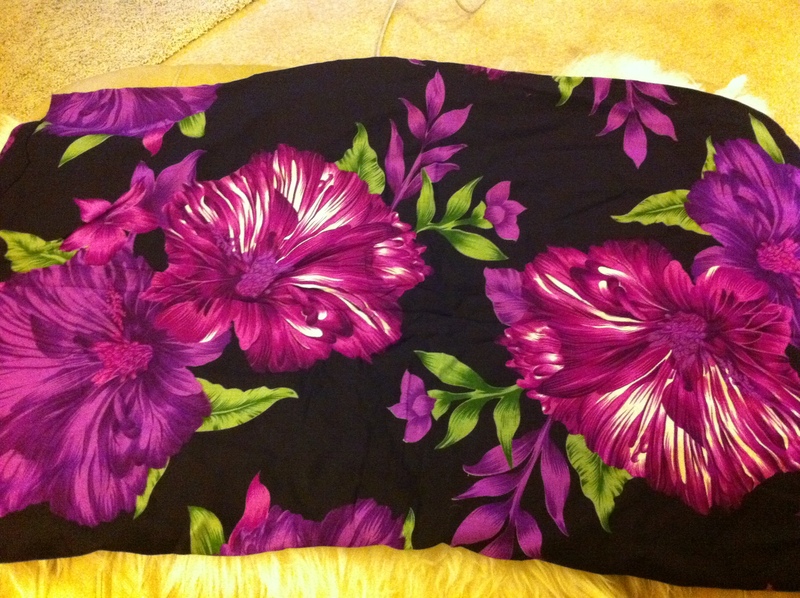 She added fresh macadamia nuts and since neither of us can resist fabrics a sarong with bright, rich colors that I’ll take to the pool this spring under the bright Arizona sun. And she’s promised photos, too, when she has a chance to get them off of her camera. 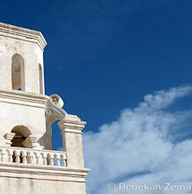 Like guidebooks, travel shows and E.M. Forster’s A Room with A View, it all adds up to a welcome, vicarious taste of a place I hope to see someday through the eyes of someone who taught me to want to explore and to appreciate the details. So it’s a small, sweet box whose actual value lies not in the contents but the thoughts and the memories. 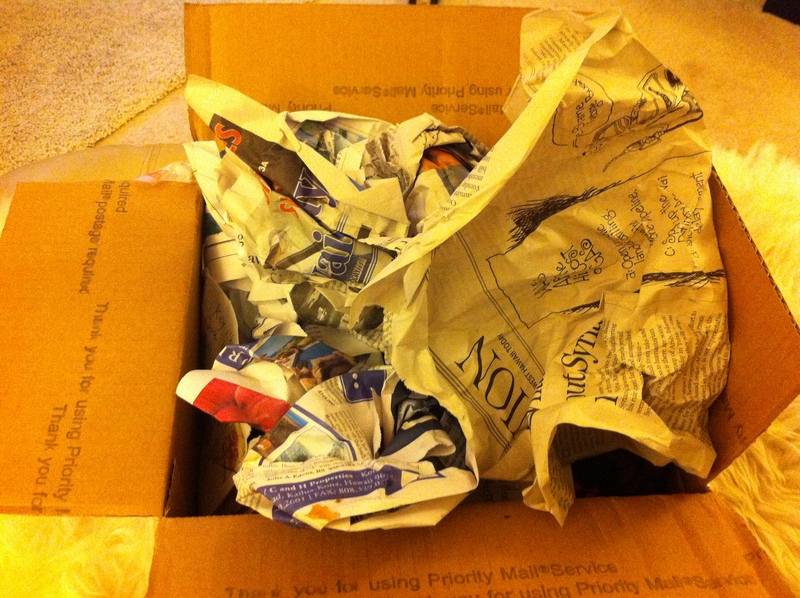 Mom writes that there’re more trips and conferences on the horizon – which I’m hoping will mean more boxes and more stories to share.